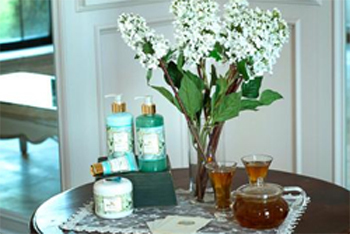 White lilac is an old fashioned fragrance that reminds one of the lilac bushes that bloomed in grandmother’s yard. Dreams And Rainbows Is Pleased To Offer Free UPS Ground Or U.S. Postal Service Shipping, Within The U.S. Or To APO/FPO Addresses, On All Orders Of $50.00 or Higher! You May Also Email Us Your Orders, Being Sure To Include Your Phone Number(s), Time Zone And A Convenient Time To Reach You. We Will Try To Call You For Your Credit Card And Shipping Information. Your Patience With This Method Is Appreciated As Our Incoming Email Is Very Heavy And We May Not See Your Note For A Few Days. Due To Limited Space, Orders Pending Receipt Of Checks Will Be Held Only For A Reasonable Length Of Time.